From functional to luxury. 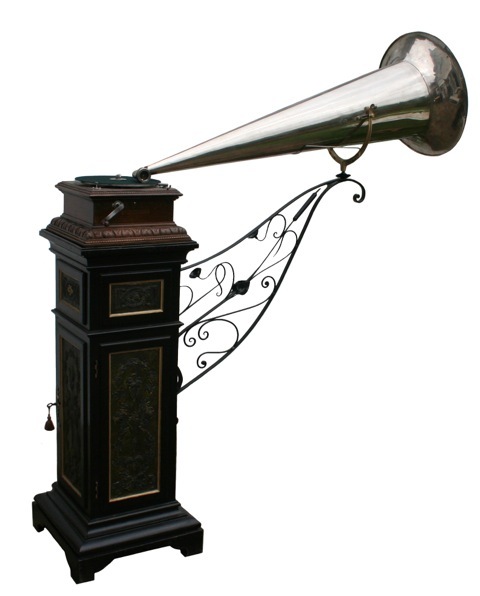 Within a short 3-4 years the Gramophone became the status symbol of the age, so inevitably the designers determined to take advantage of the privileged market by creating machines that were not only wonderful pieces of furniture, but also hid the rather cumbersome horn. 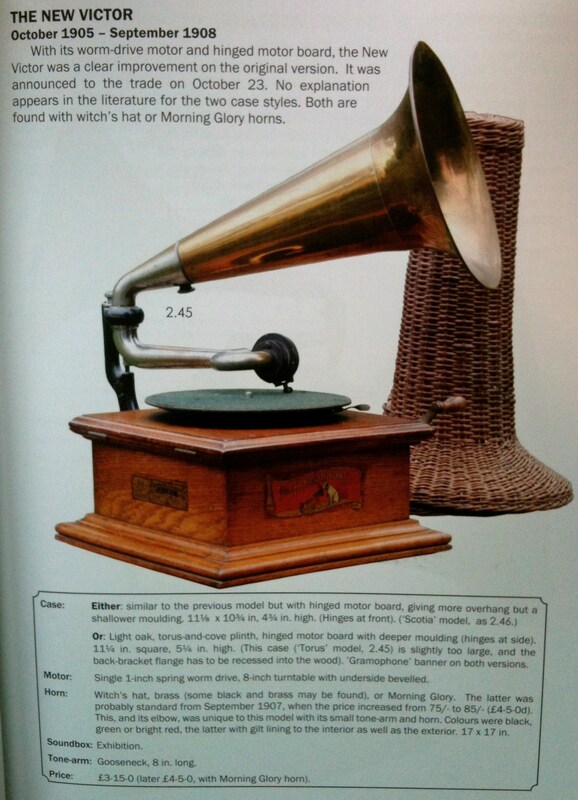 Enter the Sheraton Grand, the first enclosed horn gramophone. Designed to resemble a piece of 18th century furniture, only the wind handle gave it away as not being a classy cabinet, and that could presumably be removed when not in nuse. It quickly caught on with the discerning customer, over 300 having sold within the first five years of its 1906 launch. This machine was designed as a feature of any sitting or drawing room, the back panels being of the same high finish as the other three. The ‘drawers’ were dummies, the front opening with four separate doors to reveal luxury storage space for the discs. 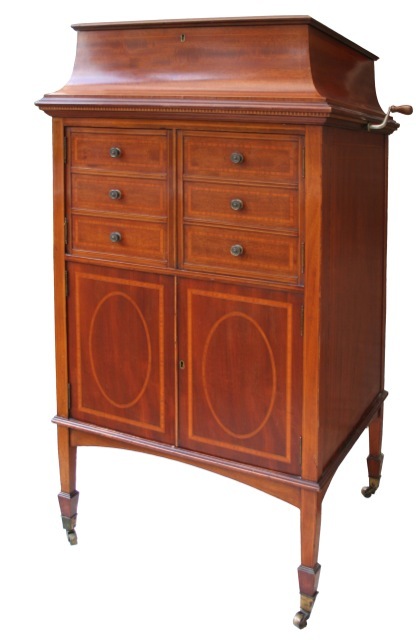 Made in mahogany, crossbanded in tulip or satinwood with a flat lid on coved front and side it stood nearly four feet tall, and two feet wide and deep. 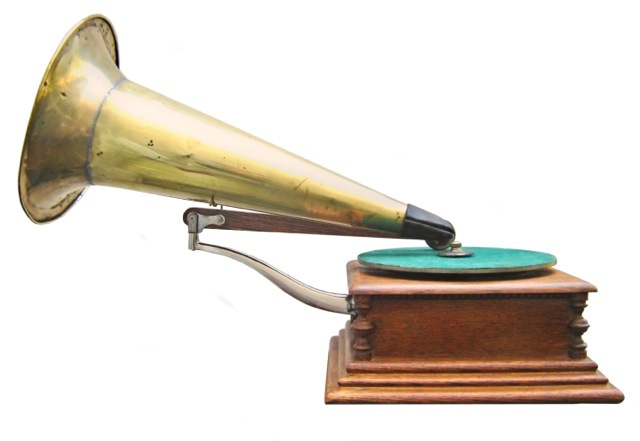 The open doors also revealed the internal horn, created from four tapered panels suspended below the tone arm. 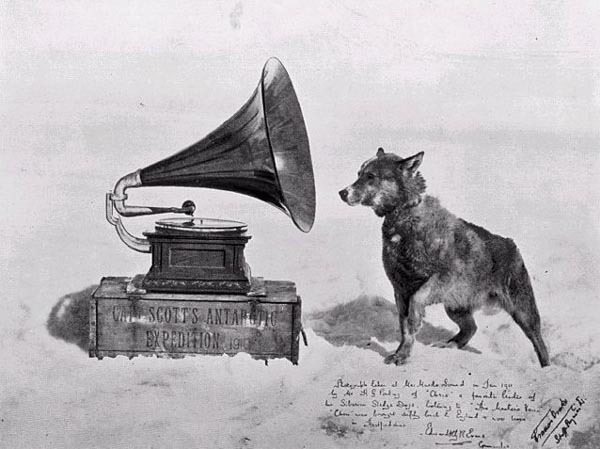 As interest in the gramophone increased, so did the ingenuity of the Gramophone Company’s technicians. 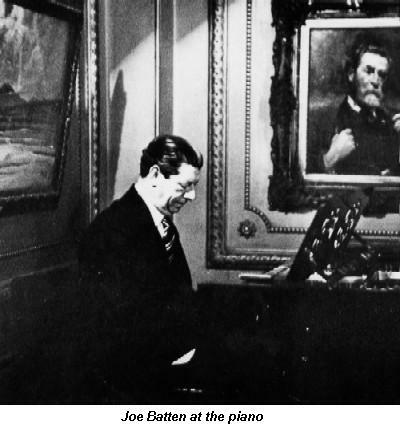 Outside the limits of most people’s finances, these machines were still largely owned by the wealthy, so how to bring all this wonderful recorded music to the mass public? 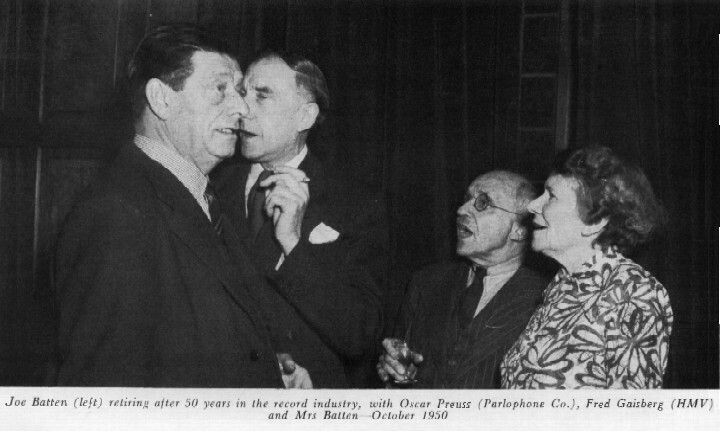 There is one extraordinary illustration of a Crystal Palace concert in 1904, which featured six players, each with three horns – what on earth did that sound like? So, in the interim, the amplifying horn was considered the best way forward, so step forward our faithful Monarch, suitably dressed for the occasion! Here, the original base sits on a large ebonised pedestal with green moulded panels, suitably weighted with sand or some other heavy material to keep it upright. The wonderful ironwork arm is a reconstruction as virtually no original examples exist and holds a 48” horn. Sadly, for all the effort that went into its construction, it failed to catch on. 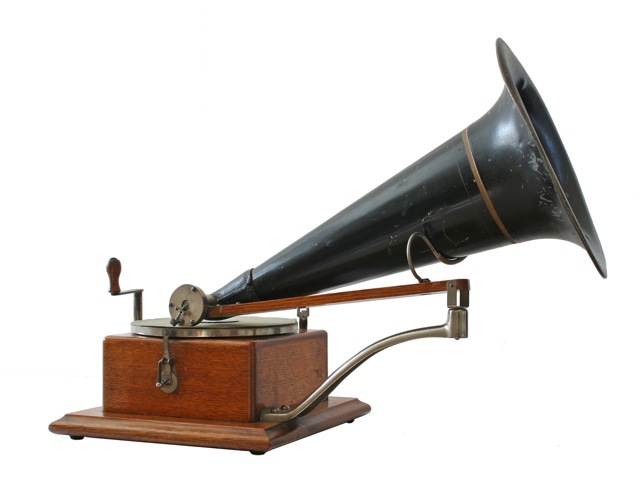 Introduced in 1903-4, The Gramophone Company’s London sales office had to report that it was ‘unable to dispose of’ the 22 in stock! 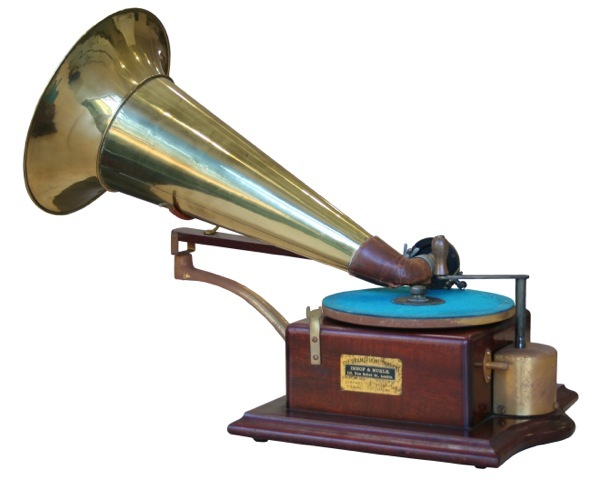 Introducing the Single Spring Monarch Style No.11 In production from 1901-1905, this machine was specially designed to play the newly introduced 10” Concert recordings issued in 1901. Costing £10 in 1901, the price was drastically reduced to £7.10s (£7.50) a year later, the design was classy, with a wide stepped plinth and baluster corner column. The machine is driven by a single-spring, hence its title, with a bevel drive and vertical governor. The 22” brass witch’s hat horn used a wooden tracking arm. 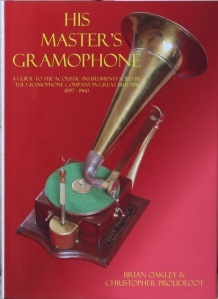 We made mention of this fine new hardback book a few months back, but feel it deserves more attention, and so, with the kind permission of its creators Christopher Proudfoot and Brian Oakley, we’re starting a series of extracts to give/remind you of the first golden era of recorded music and the wonderfully crafted machines that allowed it to be heard. 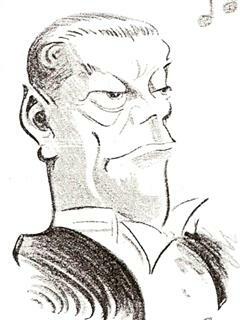 First up is ‘The Improved Gramophone – Trade-mark, (Style No 5). 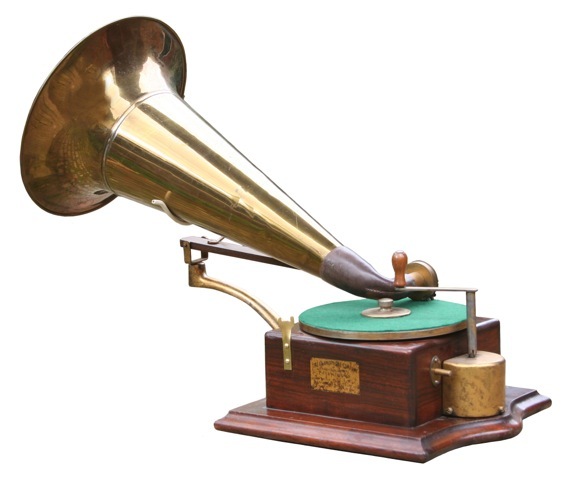 This was the machine that started the life of The Gramophone Company in Britain in 1897, the first to be sold here by Wilfred Barry Owen and his associates. While the very first machines imported from New York bore The National Gramophone Co name, subsequent imports carried the names of The Gramophone Company (until 1899), The Gramophone Company Ltd. (until the end of 1900), and The Gramophone and Typewriter Ltd (January 1901-March 1902) together with one of the first two addresses of the Company, 31 Maiden Lane or 21 City Road. 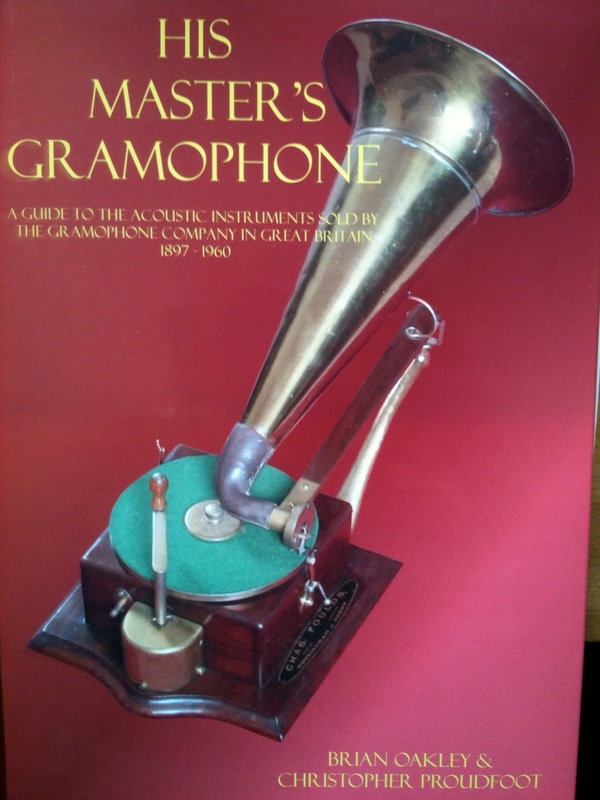 With a plain oak case housing the motor and, together with the extension arm, mounted on a baseboard and the mainspring projecting in a nickel-plated cast iron casing, the Improved Gramophone set the standard of craftsmanship and quality that was to epitomise the Gramophone Company’s output for many years. were made from walnut with gilt fittings, and there were even ‘Extra Fine’ models made from mahogany – all at this stage imported from New York. The witch’s hat horns were either made from tinplate or zinc and painted black, as in the first photo, or single spun from brass. 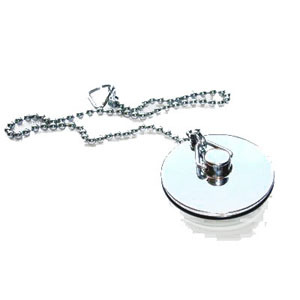 While the first shipment was largely the black version, the brass model, an experiment, proved the more popular and by 1902 nickel plated and even silver plated versions were available. To complete the purchase, wealthy customers were invited to buy a carrying case. These came in several styles, made in black enamel, brown canvas and green crocodile or tan leather. Classy eh?